Welcome to the 4th meeting with Sailor for Sustainability! You can read who they are here! After visiting Portofino, Elba and Sardegna, our Sailor friends, Ivar and Floris headed towards their next exciting adventure to Sicily. They were impressed by both the warm temperatures of Southern Italy and the welcoming people offering them typical dishes like Arancini rice balls and homemade ice cream. On Isola di Favignana they discovered that the local tuna industry has failed due to overfishing, as people pushed tuna fishing to its limits. However, now tuna fish is locally recovering, as residents changed their source of income to tourism. 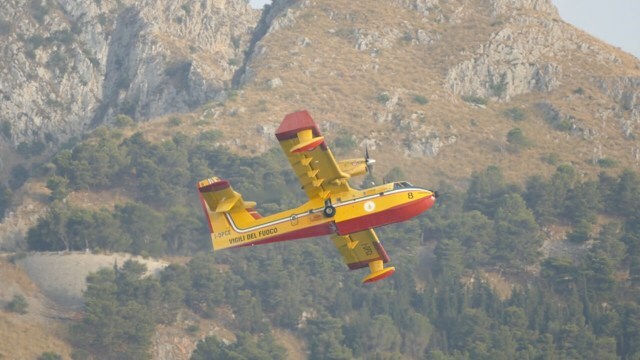 Due to hot and dry conditions wildfire is very common in the southern part of Italy but fortunately the firefighting planes are able to cope with the situation and the Sailors witnessed it as you can see below in the photo. 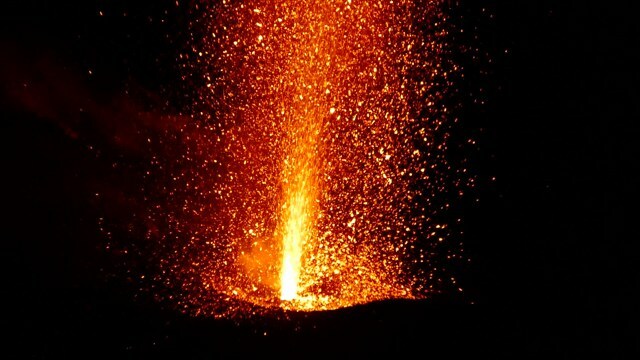 The next stop was Palermo, a mix of diverse cultures, as the two Sailors say: “The golden mosaics take our breath away. A testament to the beauty that (wo)men can create. If mankind can do that, we can also change the world for the better. 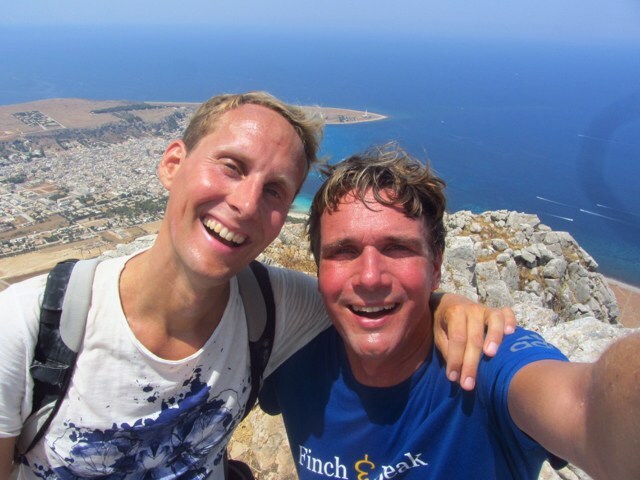 As if the hot was not enough for them, Ivar and Floris decided to hike up to the summit of two active volcanos: Vulcano, a volcano on the Island of Vulcano and Stromboli, on the Island of Stromboli. After this unforgettable moments, they enjoyed refreshing themselves into the crystal-clear waters of Isola di Lipari, being so clear due to a unique characteristic of the environment caused by a lack of algae and plankton. 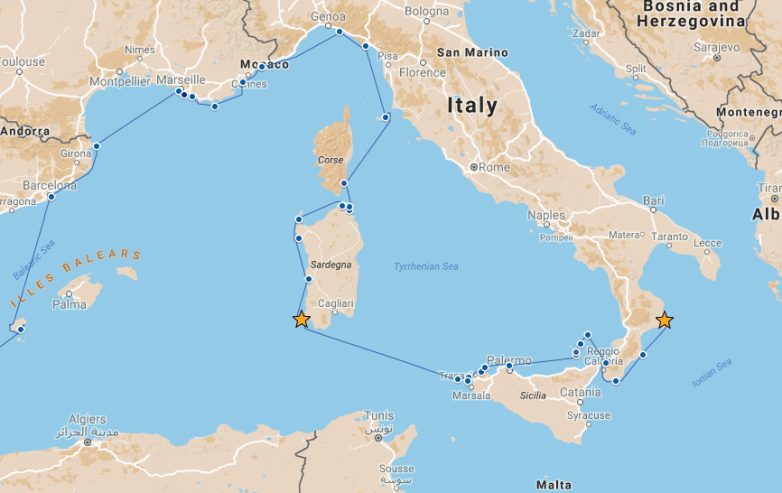 During all the journey, the Sailors used the wind to sail, and because of the absence of wind in the Mediterranean sea, they were constrained to spend more time on the same place but at the same time they could enjoy the picturesque Italian villages. Only one time they were obliged to use the engine in order to reach Calabria, where they had an appointment to discover more about the reforestation programme. 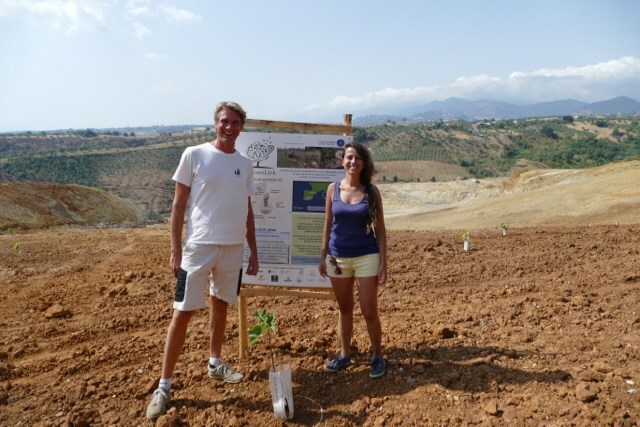 As a result 2,400 fig, olive and pomegranate trees were planted and they look impressively green and healthy. From this experience the Sailors learned that hot and the absence of wind is not as bad as it seems to be: there are also advantages like being able to produce solar energy to power the systems and find anchorage spots more easily. After visiting Italy’s most charming places, the two Sailors decided to head toward their next adventure: the magnificent Greece.